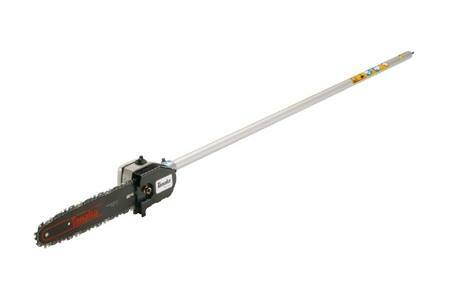 Turn a Tanaka split-boom grass trimmer into a pole saw! Lifetime drive shaft warranty. Opt. Bar & Chain Combinations: 10"
Chain Oil Capacity: 13 fl. oz.